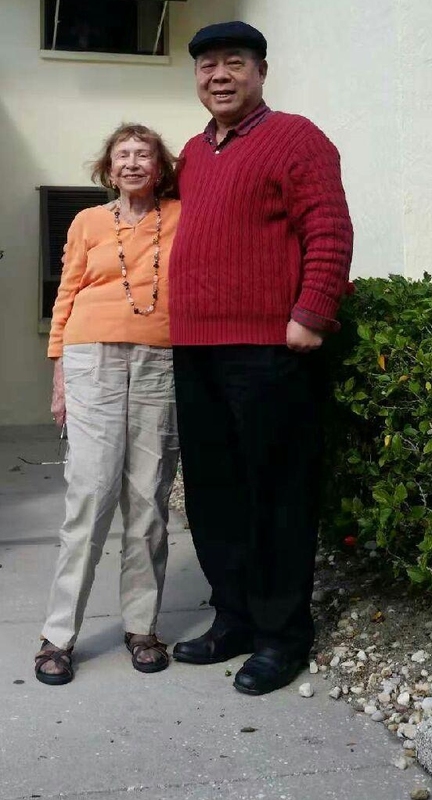 Sonia with her friends, Zheng Baoyi (Baoyi is his first name), and his wife, whose first name is pronounced Shawshan, in front of Sonia's condo in Sarasota, FL, on the early afternoon of Dec. 11, 2018. Sonia met Baoyi in early 1993 when she visited a cancer institute in Beijing, China of which he was deputy director. (Sonia's story of other aspects of that trip is entitled "A Seder in Shanghai" and appears here.) Subsequently, Baoyi came to the Atlanta, GA area with Shawshan and their daughter, Cindy, to get a Ph.D in public health. Although it had been Baoyi's intention to return to Beijing after he got his Ph.D., the family instead remained in the Atlanta area and remained in touch with Sonia. 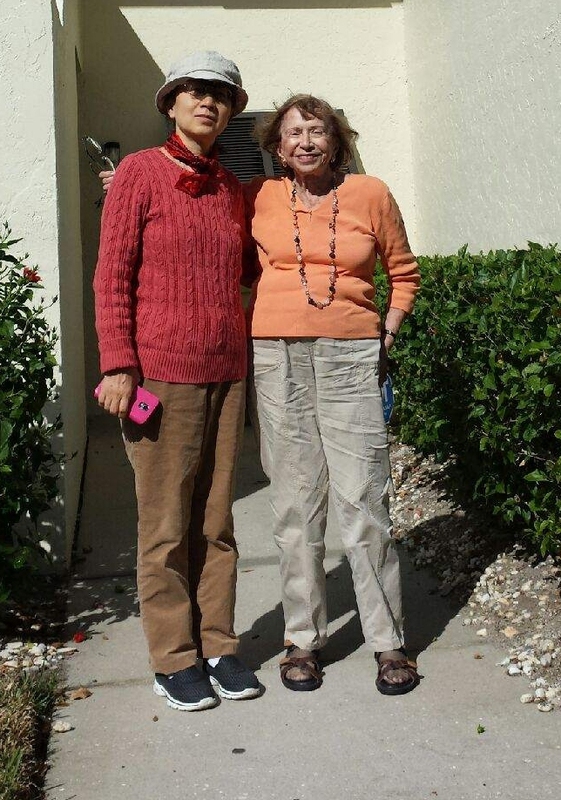 On Dec. 10 and 11, 2018, Baoyi and Shawshan visited Sonia for the second time in about ten years at her Sarasota condo.